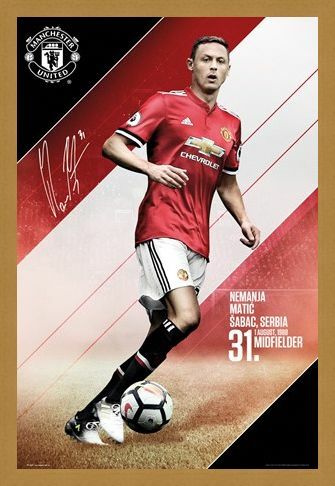 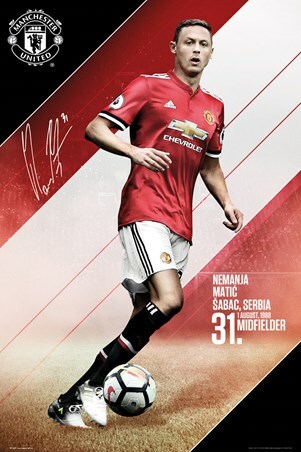 Nemanja Matic is ready for action in this amazing poster from Manchester United. The Serbian midfielder made the switch from Stamford Bridge to Old Trafford in the summer of 2017 and looks like he's been at the Theatre of Dreams his whole career. This poster also features the Man United crest, the number worn by Matic along with his date of birth. 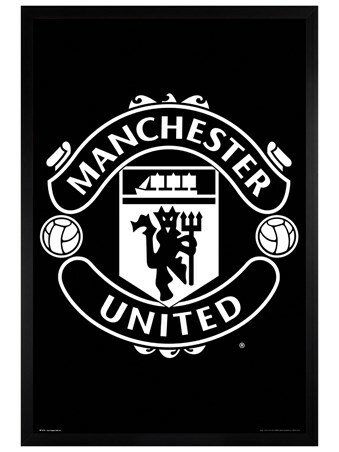 A must have poster for any 'Red Devils' fan. 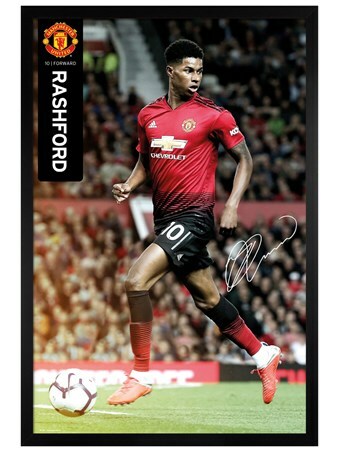 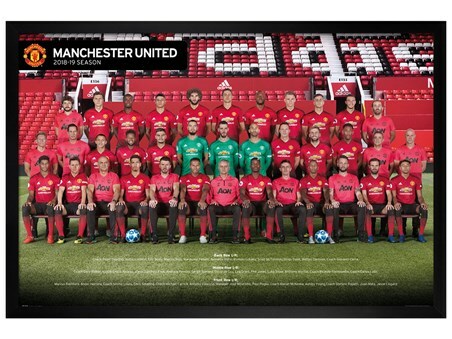 High quality, framed Matic 17-18, Manchester United poster with a bespoke frame by our custom framing service.